Dom Manfredi scored two tries to help Wigan ease past Warrington and clinch their sixth win on the bounce. 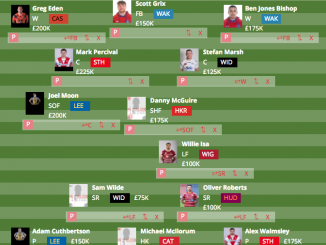 Wigan coach Shaun Wane made three changes to his Wigan side that won against Wakefield Trinity last time out. Ben Flower, Joe Greenwood and Sean O’Loughlin were replaced by Taulima Tautai, Manfredi and Ollie Partington. 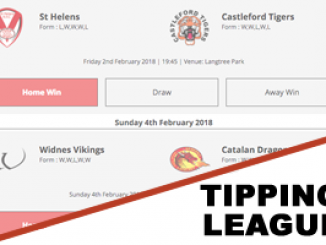 Steve Price made four changes to his Warrington side that beat Huddersfield Giants last week. Ben Westwood, Bodene Thompson, Morgan Smith and Luis Johnson came in for Chris Hill, Mike Cooper, Kevin Brown and Tyrone Roberts. 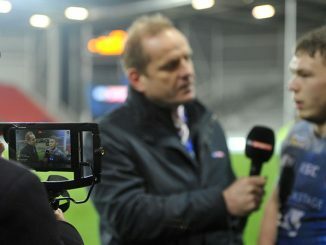 The game had a very slow start at the DW Stadium, with neither side eager to get out of the blocks. It was a strong defensive display in the first half from both sides though. 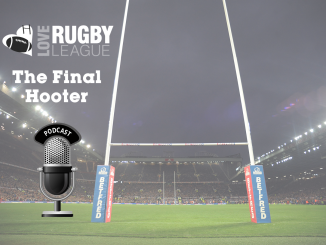 Warrington came close to scoring on the half hour mark through Stefan Ratchford as he chased a Declan Patton grubber but it was ruled out by the video referee because of a knock on. The hosts were the first team to score though. John Bateman could have been mistaken for playing football as he twice kicked through for Tommy Leuluai to touch down. Sam Tomkins converted to put the Warriors in a 6-0 lead at half-time. The start to the second half was a lot more intense than the first. Wigan were dealt a blow in the 53rdminute though as Tomkins was sent to the sin bin for dissent. Warrington scored in the following set after Tomkins’ yellow card. Ratchford this time latched onto Patton’s grubber to score. Patton added the conversion to level the score at 6-6. George Williams edged Wigan back into the lead though on the hour mark. Westwood failed to clear the ruck and Wigan were awarded a penalty as a result. With Tomkins still off the field, Williams took over kicking duties and added the penalty goal. Referee Robert Hicks dished out another yellow card in the 68thminute. Tom Lineham was sent to the sin bin for a high shot on Manfredi. 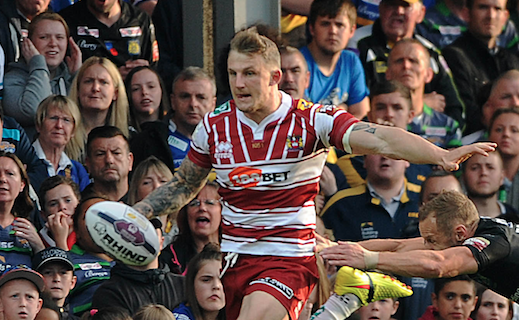 Manfredi scored on his return to action following a fantastic break from Oliver Gildart. Manfredi then celebrated with the home fans and was jumped on by his team-mates following a two-year injury lay-off. The winger grabbed his second just minutes later as he forced his way over the line, despite the best efforts of Warrington centre Bryson Goodwin. Wane’s side had momentum on their side in the latter stages of the game and Ryan Sutton powered over the line from close range. Tomkins’ conversion secured a fine 26-6 win for Wigan and their sixth win in a row. Wigan: Tomkins; Manfredi, Gildart, Sarginson, Davies; Williams, Leuluai; Clubb, Powell, Navarrete, Bateman, Isa, Hamin. Subs: Escare, Sutton, Partington, Tautai. Warrington: Ratchford; Lineham, Goodwin, Atkins, Charnley; Livett, Patton; G King, Clark, Westwood, Thompson, T King, Hughes. Subs: Philbin, Johnson, Smith, Pomeroy. 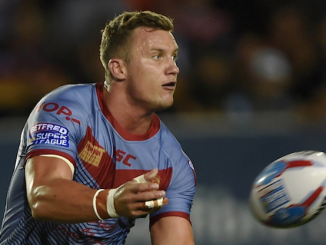 Starman: It was a perfect return for Dom Manfredi. He didn’t put a foot wrong all game, was safe under the high ball and fully deserved his brace.